Delicious sandwiches, clean facility and very fast service. Absolutely recommend. Best Quiznos ever I visited. Excellent customer service. The Quiznos here is very busy at lunch time. But at about 6pm there is no-one and you can get your sandwich completed very fast. 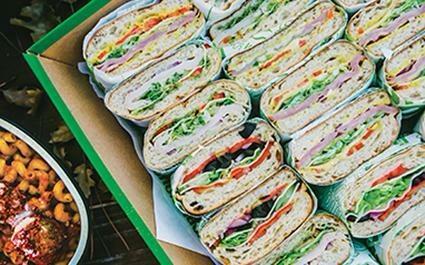 I like Quiznos subs and if you want a discount on the sandwich I would recommend to buy a coupon on Groupon or something. Friendly staff, decent food, reasonable prices. This business gave an excellent customer service, an excellent fresh and juicy banana pepper, and a clean environment and washroom. This fast food values my dollar.